This is a critical moment for the future of education in New York City. There’s change everywhere in education, and it’s never been a hotter political topic. Major cities like Chicago, Los Angeles and Portland have seen civic leaders join with parents, students, cultural organizations and businesses to expand access to arts education. New York City needs to be on that list. The NYC Roundtable, together with more than 40 other cultural and educational agencies, invited the declared mayoral candidates to weigh in on what a quality education, including the arts, will look like if they are elected. Their responses are now up for all to see: View the responses now. To become part of the solution sign a petition right now to show your support for arts and creative learning in New York’s educational future. Visit CAE’s Arts Education Action Center! Here you’ll find tools, tips, and information to help ensure that all of New York City’s more than one million public school students are receiving an arts education. In order to have good schools with well rounded curriculums, somebody has to pay for it. If it is to be publicly funded, you’ll have to tax the people who have money. But they do not wish to be taxed so that the children of mere working people can have good schools. From the beginning, the intent was not to educate, but to control. John D. Rockefeller helped to fund some public schools, and this is part of the reason he’s thought to be a philanthropist. But the intent was not to provide a liberal arts education; it was to develop a compliant work force-those who would stand in line, and raise their hands for permission to speak. Costing more taxpayers money is worth it when you look at the overall picture. Kids that are in the arts motivate themselves, learn self-esteem, have a goal, and want to go to school. Why are the arts the cuirriculum that the schools want to get rid of? What about sports? You never hear of the schools wanting to cut out sports. Do you see many people who play sports; play sports for the rest of their lives? The arts is something that kids can continue with for the rest of their lives. You can’t say that for sports but yet the schools don’t think of cutting them out. As a theatre teacher of these students I can not tell you how incredible hearing these words is to me. I am entering my fifth year as a theatre educator and each year stories like this remind me why I chose and love the career I have. It also reminds me how critical arts education was in my own life. Remember, this is just a handful of stories of how the arts have changed a young person’s life. We must stand behind the cause of promoting the awareness and the vital-nature of arts in education. I am forever grateful to Fran for making these students’ voices heard and for advocating arts education in our schools. Taking risks in class and performing for an audience teach students to trust their ideas and abilities. The confidence gained in drama applies to school, career, and life. Acting roles from different situations, time periods, and cultures promotes compassion and tolerance for others’ feelings and viewpoints. Theatre combines the creative ideas and abilities of its participants. This cooperative process includes discussing, negotiating, rehearsing, and performing. Playing, practicing, and performing develop a sustained focus of mind, body, and voice, which also helps in other school subjects and life. Drama enhances verbal and nonverbal expression of ideas. It improves voice projection, articulation of words, fluency with language, and persuasive speech. Listening and observation skills develop by playing drama games, being an audience, rehearsing, and performing. Students learn how to communicate the who, what, where, and why to the audience. Improvisation fosters quick-thinking solutions, which leads to greater adaptability in life. Drama brings play, humor, and laughter to learning; this improves motivation and reduces stress. Pretend play and drama games allow students to express a range of emotions. Aggression and tension are released in a safe, controlled environment, reducing antisocial behaviour. Many drama activities reduce stress by releasing mental, physical, and emotional tension. The process of moving from ideas to actions to performances teaches the value of practice and perseverance. Drama games and creative movement improve self-control. The social interaction and risk taking in drama develop trust in self, others, and the process. Movement in drama improves flexibility, coordination, balance, and control. Rehearsing and performing words, movements, and cues strengthen this skill like a muscle. Legends, myths, poems, stories, and plays used in drama teach students about social issues and conflicts from cultures, past and present, all over the world. Participating in and viewing theatre raise appreciation for the art form. It is important to raise a generation that understands, values, and supports theatre’s place in society. I love this list!! As a drama teacher I appreciate that you took the time to write this. Excellent list: I plan to ‘steal’ it! Sometimes it is hard for people to imagine what the arts can do for them if they have not experience in creative art activities and its not always easy to articulate for those of us who do value the arts and who participate in them. Your list will be helpful in that conversation. Wow, this video was so well-done. I am an opera singer and voice teacher from CT. I’ve been performing since a young age and singing is what defines me. It is a terrible thought to think that the outlet of the arts is going to be taken away from these kids who posess so much promise. I was blessed enough to be able to enjoy participating in these activities in my high school. I worked hard to get good grades and I studied with my voice teacher in order to get into a top music college. Music takes hard work, perseverance, strength yet the ability to show vulnerability, intelligence, passion, creativity, cooperation with others and much more….One of my students just got his first lead role in a local show after being in the ensemble for two years and he is so happy and fulfilled because of it. I’m blessed that my parents have always supported me and my boyfriend is also a singer, however, I do have family members who worry about my finacial future and don’t understand why I won’t get a “real 9-5 job.” Life is about doing what you love. I also associate myself with that girl who said she had trouble with friends…I was bullied myself and musical theatre and choir gave me a safe outlet and an ability to make friends with people who loved the same things I did. The arts are so important! “Sing joyfully to the Lord”. Absolutely applaude this presentation. What a critical, significant role the arts play in schools. The benefits outweigh any cost or political agenda. The investment is immensely rewarding! I am a product of the arts in schools. This is so well done, and for exactly the right cause! When our materials began to arrive for our crazy sewing projects, my students couldn’t believe it. The boxes kept piling up in my office and students fought over who got to open the next one! They divided everything into categories and began to organize it. One kid brought out the label maker and printed a label for EVERYTHING — even himself! Student 2: Here you are. Student 1: Making first incision near the pencil mark. Student 2: Make sure you cut deep enough, doctor. Student 1: A clean slice! Should I mention that one of our plays was about zombies? We also managed to paint this gigantic backdrop (12 foot by 30 foot) that we created out of canvas drop cloth and hung from grommets that students punched and pounded themselves! Aside from this incredible after school work, students in the classroom were also cutting and stitching away. Students in my advanced acting class elected to make puppet web shows for their end-of-term project. Out came the fabric glue, googly eyes, felt sheets, and sewing machine! Their project resulted in over twenty-five puppets and four web shows. The shows are geared for children and tweens and touch on themes of bullying, friendship, relationships, and abuse. I cannot thank you enough for your generous donations. We accomplished so much because of each of you. You not only reached the lives of my students, but the lives of the community we serve. Many of the items we ordered can be used again and again. Thank you, thank you, thank you. Oh, and I forgot to tell you that the ironing board probably got the most use of all! Students repeatedly ironed their costumes for the show. There were three boys that made it their mission to have everything pressed! And out the ironing board came at the end of the school year for our end-of-season celebration — the kids all pressed their dresses, slacks, and shirts for our more formal ceremony…and they looked so proud. Such an important cause. I thank you so much for drawing attention to it through this excellent presentation!!! Thanks for your work, Fran. We appreciate it. Thank you, Anna! Please share with your friends and colleagues. It begins with one voice, one signature! Thank you!! I am a graduate from the NYU Graduate Ed Theatre program and currently a drama teacher in a K-2 school in Jersey that is lucky to have a drama/theatre program. Your work is very inspiring and the words that the students said I only hope my current students will be saying 10 years from now when they are in high school. This is the video I will go back to whenever I need motivation to continue doing what we do in a world that is trying to discontinue the arts. I was once a NYC performing arts student and now I am a NYC theatre educator.. performing arts programs is vital to these students it gives you the confidence and the necessary tools to make these students better people, well rounded! Thank you for this! Many young people find their calling in life through the arts in education, who will be the next generations artists – the soul of the education is the arts. Thank you for writing to explain your support for funding arts education programs in this year’s budget. Like you, I understand the vital role that arts education plays in creating better students. The facts are clear; arts education is beneficial to students of all ages. Students who participate in arts programs are significantly more likely to be leaders in their schools, excel academically and participate in community service. In at-risk students, arts education drastically diminishes behavioral problems in the classroom and raises academic achievement. Providing arts education is not just good education policy; it makes economic and fiscal sense. Arts education creates not only better students but better workers and better citizens—which in turn has a major long-term impact outside our nation’s schools. Arts education significantly cuts the cost of criminal justice and social welfare programs while simultaneously increasing tax revenue. I will continue to monitor any and all programs which help us fulfill the American promise for our nation’s children while strengthening our national economy. Again, thank you for contacting me on this important issue. Please do not hesitate to contact me again if I can be of further assistance on this, or any other, matter. I saw this video this morning via Twitter and I retweeted it from my personal and company accounts. It’s beautifully done. I think it’s one of the most compelling pieces I’ve ever seen to preserve the arts in schools! Congratulations on an excellent video -the message is crystal clear and the emotion and passion of the students radiates off the screen! Such an important message and who better to hear it from but the students themselves! Research clearly shows the link between arts education and the goals to improve achievement, graduation rates and student engagement. As arts education is required as a part of the Core Curriculum Content Standards, every child in New Jersey should have access to an education that includes meaningful instruction in the arts. Currently, arts education in Newark, the state’s largest district, is uneven at best with very few schools offering instruction in all four arts disciplines. According to a 2012 study Keeping the Promise for the Children of Newark: Updated Findings from the 2011 NJ Arts Education Census Project by Robert Morrison, founder of Quadrant Arts Education Research, all of Newark’s 35,000 public school students have access to classes in music, visual art, theater and dance — as required by the state. but the percentage of Newark high school students enrolled in arts classes is just 32 percent, lower than the state average, and the percentage of students who spend at least one hour a week in an arts class is also below the statewide figure. The lack of equal access to high quality, sequential arts education for all children is not just a local issue, but a national tragedy. In Newark, the Newark Arts Education Roundtable (NAER) is striving to make a difference and we invite anyone with an interest in collaborating to ensure that all children in the city of Newark have arts education opportunities both in and out of school to join. Visit the Arts Education section of our website: http://www.newarkarts.org or email paula@newarkarts.org for more information. We thank Fran for joining us and look forward to a strong partnership as we work together to spotlight this crucial educational issue in our nation. Hi Fran, that was an incredible video. please pass on a big thank you to everybody involved. we are having the very same debate in Ireland about the worth of arts. Pride, self expression, confidence are just ignored by politicians, and instead art is being reduced by the government to an economic and tourist commodity. On the positive side artists, writers and musicians are still creating and engaging with students and communities. There’s always hope! 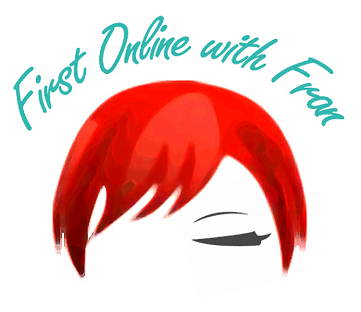 HOPE is what First Online With Fran is all about! Thank you for your comment. Please post this on you tube so we can share it and embed it in other arts education sites. Flash player is tough on people viewing it from other devices. Thank you for such an amazing post! Thanks for posting this. Access to arts education and theatre in high school is absolutely vital and I hope they make the right decision here. Eliminating arts funding is taking away a kids’ right to their “pursuit of happiness.” Too bad they don’t have the clout necessary to file a lawsuit. Maybe it’s time they got organized because apparently adults and parents aren’t going to do it for them. Hey, this could be a project for the Obama girls! I’ve made a career out of the performing arts for over a decade — it was my dream as a child, a reality as an adult and a hope to one day return the gift my teachers and professors gave to me to teach the arts and share my passion. I will not waste your valuable time rehashing the wonderful statements and sentiments made in the film. I will, instead, say that I fully support the arts in public schools for the very reasons listed above. I was once one of those kiddos and I can certainly add my name to the list of those who were truly enhanced as students and as people thanks to a focus on the arts in public school. I was one of the top ten students in my graduating class and went on to college with not only an acting scholarship but an academic scholarship as well. The arts is not only comprised of music and theatre, painting and poetry, the arts’ building blocks are math and language, politics and psychology. It’s the culmination of the basics of education and a practical and POWERFUL application of these subjects. Add to that the confidence and the awareness of one’s true self and uniqueness and you have something that simply cannot be removed. Voice is everything. Again, thank you so much for doing this. I was truly touched by what I saw and certainly impassioned by it — by your work, by the students’ stories and by the understanding that that arts is not something to be excised. — Ryan Rigazzi: Professional Actor and Vocalist, twelve years in the world’s longest running musical revue “BEACH BLANKET BABYLON” which included a special private performance for Charles, Prince of Whales as well as a performance at the World Series in San Francisco, CA. Well done for teh beautiful way that you have expressed yourselves and articulated the power of Arts. It important that the decision makers stop still and look around at themselves and acknowledge the designer and makers of the clothes they are wearing, to the furntiture they are sitting on all the way through to the house, car, bus, train film, TV and food they eat. Art and creative is the essence of everything we are in touch with. With out art is like cutting the creative power of a nation and it is important to invest now for safeguard the future. For me we are all artistic creations, we are all similar yet individual, why would anyone want to live in the mechanical world, where everthing is the same and there is no value of the invidual and how each USP create a beautiful picture and society. Hallo, everybody! I’m from a small European country, and I find it is a great cause for concern that arts education, and drama arts in particular, are loosing support of decision-makers, regardless of the evidence that proves how vital it is not only for children and young people. And while we insist on scientific education, we should remember that all great scientists who shaped the world we live in, were creative thinkers, and creative thinking is developed through arts. So if we wish for a new Einstein, or Madame Curie, we need to give them arts to provide the setting for growth. As we all need bright, clear voices of young people, we also need numeric and political arguments, so I’m offering several links: Seoul Agenda on Arts Education, (Unesco http://www.unesco.org/new/fileadmin/…/HQ/CLT/…/Seoul_Agenda_EN.pdf), Henley review (https://www.gov.uk/government/…/Cultural_Education_report.pdf), and the DICE research (www.dramanetwork.eu). DICE (Drama improves Lisbon Key Competencies in Education) was a research on the impact of educational drama and theatre on 5 of 8 key competencies in education, it was carried out in 12 European countries, with about 5000 children and young people aged 13-16. Zou can find a dowloadable pdf version of Policy paper, with valuable statistic data, and preliminary results. It is good to have some numbers to back up your case, and I wish you success in obtaining funds and support for arts education, with hope that the success of one initiative will have a domino effect for all of us hoping for better and more human education for all the children. Thank you: More really good points that help us to express the importance of the arts across all cultures. To Fran: No praise is too great for you for your vision, courage, and positive action in producing this deeply moving video. We live in a world which has historically reduced itself to two values: money and power, for which its euphemisms are “efficiency” and “productivity.” The logical progression of this profoundly debased world view can only end in turning human beings into obedient and utterly predictable robots. It is hardly surprising that the powers behind this worldview want to stamp out the arts, which are the vivid expression of everything essentially human: dreams, individuality, yearnings for transformation, joy, passion and creativity. With this video, you have defied these anti-human powers that be. Therefore you have to be called heroic. Composition Studies with Robert Carl and Ken Steen. Robert Stern, University of Massachusetts/Amherst. Master of Music in Voice and Opera. Voice Study with Blake Stern. Some composition study with Yehudi Wyner. Honors: Jacobsen Memorial Prize to Outstanding Graduate. Composition study with Hugo Weisgall and Miriam Gideon. the Department of Hebrew Literature. S. Ansky (Yiddish playscript courtesy YIVO). I composed the piano-vocal score 1990-91, and orchestrated the opera 1991-94. At the personal invitation of the University Chancellor,Professor Avishai Braverman, people from all over Israel attended. attracted a packed audience, which responded to The Dybbuk with an ovation. Tel Aviv press reviews were uniformly excellent, as was a review in the London monthly magazine OPERA, which ended, “This opera deserves to return to the stage in a full-scale production with orchestra”. The opera was performed by young professional singers of the Israel Vocal Arts Institute, Joan Dornemann, Founder and Director. The stage director, Rachel Michaeli, studied opera directing at IVAI. The conductor was Ronen Borshevsky, who studied at the Tanglewood Conducting Institute, 1996, under Bernard Haitink and Robert Spano. purchase at http://www.cdbaby.com. The DVD is sung in Yiddish, with English subtitles. The Tempest, presented as part of a Gala Week of Performances for the opening of the University’s new Pasquerilla Center for the Performing Arts. 1985: Temple University Graduate Department of Theater: Incidental Music for Lorca’s House of Bernarda Alba. 1982: University of Pittsburgh/Johnstown Department of Theater: Incidental Music for Brecht’s Caucasian Chalk Circle. I adapted the libretto, keeping Melville’s text. title. This opera served as my dissertation for the DMA at the Hartt School of Music. I revised the opera extensively in 2002. This video is nothing short of liberating! Through its wide distribution, let it offer oxygen and freedom from old patterns of thought! As someone who sees the remarkable social development benefits of teaching ballroom dancing to kids, I am thrilled with the idea that more people will get to see what I see! I spent so much of my time as a teacher of the performing arts justifying to parents their children choosing to follow a performing arts course instead of something more obviously ‘vocational’ – as if education was about only work! We dealt with many deeply serious social and philosophical questions through engagement in drama making and doing which not only developed confidence as people have said above but enabled the students to engage in their humanity and understand life and a whole range of ideas which might prepare them for adulthood. All those with whom I am in contact – and they are many -acknowledge that Drama was the best part of their school experience; indeed one former student who runs a large shopping centre told me recently that she couldn’t do her job if it were not for what she had learned in my lessons. In other words even my esoteric teaching actually made more impact on her life than so-called vocational training or obviously practical learning. To add to what Solomon has said. I live in Bedford, the home of John Bunyan and one of the places in which Cromwell raised his New Model Army. In all the almost 40 years I have lived here we have never managed to have a theatre other than the one within the university (and this with campaigning from long before I arrived). Having researched Bunyan and the whole spread of Puritanism (and read Mark Rutherford’s novels about the town and his reasons for leaving) I recognise that the belief that somehow music and dance and theatre are the tools of the devil has coloured the thinking of industrial society,which grew out of Cromwell’s republic and travelled across the Atlantic in the Mayflower and left a damaging and misguided legacy about the arts which flies counter to real human experience and is actually biblically wrong as we are told that David came before the Lord singing and dancing. Somehow, in pursuit our our individuality in what is still a puritan ethic we have lost sight of the importance of the arts. My first trip to Ghana in 2000 was to make a film about the impact of music and dance on the lives of ordinary people. There we saw people singing, making music and dancing just going about their ordinary lives. In their churches they sing and dance (and actually I’ve never heard a Ghanaian Muslim say he can’t listen to music or not dance (witness Mustapha Tetty Adey’s Royal Oboni Drummers). The arts are rooted in our earliest existence and need to be recognised for the way in which they enable us to retain our humanity. In a time when there are few jobs anyway this is important if we are not to descent into the chaos of fascism and other extremist outlets for the anger and frustration caused by economic depression. We seem also to have forgotten that for much of human history it was considered important among elites to be accomplished in the the arts in order to be a part of society, witness Henry VIII love of music or his daughter, Elizabeth I’s love of dancing, of teaching of drawing and music until the First World War. So if we are truly democracies in which all people are able to engage in society then we must extend learning in and through the arts to ALL children and young people so that they have accomplishments which enhance their lives and the lives of those with whom they share them and so that they all feel able to visit theatres and concert halls and galleries and are comfortable in those places and understand what is happening in them so that they can enjoy and learn as adults too. It is not about producing huge numbers of future performers or other practitioners in the arts, it is about teaching a range of skills and understandings which don’t/can’t get learned in or through other subject areas, which compliment the skills and knowledge learned elsewhere, which provide a means of developing insights into our world which is safer than doing it in a real situation but from which the same lessons can be learned. The arts put us in touch with different parts of our being, develop other parts of our brain so that we are working more efficiently because we are making fuller use of its capacity. Unfortunately the video did not work for me. I was not the ideal student at school, and as such, neither the biggest fan of school. However of all the classes I took, I remember my drama classes best, and most fondly. They allowed me a flexibility to expand outside of what I felt to be a restrictive environment, to develop my expression and to discover alternative ways to see the world. Unfortunately in my schooling, although the classes were offered as part of the curriculum, these activities were rarely taken as serious options for career paths, rather more as distractions from the “pure subjects”. Let me know if it works for you. Thank you for taking the time to contribute to the video. Thanks Fran. That link worked. Although the main message is focussed on current local political issues (I live elsewhere in the world), the background message can translate well to any education system. Thank you for this, Fran. It is another excellent effort in your ongoing work to report about the arts. I look forward to your ‘First Online With Fran’ installments and value your input in the online fora in which you participate. You are performing a valuable service for all of us who toil in the arts. As activists, teachers and administrators we learn so much by listening to students. If practicing an art form engages a student to deepen their commitment to school, that is just ONE positive outcome. As the former Administrative Director at American Tap Dance Foundation I witnessed students deepen their teamwork skills by working together through time and space to master challenging choreography. Practicing any art form brings joy through discipline. We certainly need discipline and we absolutely require joy. These arts outcomes are NOT disposable. Actually, I remember some of my mathematics training with great fondness. It opened up whole new ways of understanding the order of things to me when I was in middle school. Just the same, I also remember fondly good experiences in English Literature, History, Chemistry, Physical Education, German, Spanish, Music, Art, Theatre. Education ought to be about the pleasure of expanding one’s mind, body and spirit and growing into a fully realized human being. When I hear someone say that there is no need to afford young people the opportunity to study any and all of these subjects, that we ought to stick to the basics, I cannot help but wonder what part of their body they would choose not to nourish in order to cut back on food expenses. It is penny-wise and pound foolish to think this way. I taught theatre for over 15 years in a suburban high school setting near Salt Lake City, Utah. I saw how vital this program is to young people who both know what they want and don’t know what they want. The Arts focuses our youth. It gives them goals. It provides a structure for them. It gives them a place to succeed. I saw it change lives, provide purpose, motivate, encourage, inspire. What more can anything do? These changes were not infinitesimal. The Arts turns our young people around. It takes lives that had little or no purpose and gives them something to live for. I have now been able to sit back, since I retired from teaching, and see the results of my Arts Students in their chosen professions. Young People who did not even have a prayer of graduating had received scholarships to colleges and universities and they finished their programs. They may not have ended up majoring in theatre, but some did, even many did. But all achieved success BECAUSE of the Arts programs with which they were involved in High School. I also saw even greater success for those who had been involved in the Arts since they were very young. Many of these students knew where they wanted to go — that was because of the Arts in their lives. Early exposure to Creative Drama, Music and Fine Art classes helps kids get through school. We are not all statistical learners. And the Arts stimulates a side of the brain that enables the Business, Science and Physical Education students to gain better skills as well as the Arts students. The Theatre Department in our school became the place to be. We had students, in addition to those who took Theatre classes every day, from every department in the school involved in our after school programs. None of our students could be involved unless they maintained their grades and attended their classes. Some years there were over 300 kids involved in the musical, onstage, backstage, in the orchestra pit and doing the business of theatre in promotions and ticket sales. (We did four shows and participated in three competitions per year.) Our students achieved — and they loved every minute of it. The Arts are multi-dimensional, multi-tasking, complex thought-involving disciplines than challenge and inspire our youth, of any age, to reach higher, think more completely, understand those around them and achieve through their own success. There was a survey taken in the late 1990s from Fortune 500 companies. It had startling results. The consensus among the Fortune 500 was that they would hire a person with an Arts background FIRST, before they would touch a person with a Business background, because of the creative problem-solving abilities unique to those in the Arts of Theatre, Dance, Music, Drawing, Painting, and Sculpture. They are vital to every human being on the planet. We cannot cut funding. It is not business, math, or science that drives a human being — no matter what our government says — it is thought, feeling, creativity, compassion. From these things, students of all interests and disciplines become better students and better people. I am an Intermodal Expressive Arts Therapist in Arizona. I know how important the arts have been in my life and in the lives of my clients. As a young person, music, theatre, dance, poetry were my refuge–I still paint, sing, dance and play music, write. It is so wonderful to work with people who state that “they are not creative” and to watch them bloom as they create poignant music, songs, poetry, paintings and performance art peices out of their own inner experience. In this way, they bring their ‘issues’ into the room versus just talking about them and they reshape their stories through an intuitive imaginal process that results in lasting change. Art is powerful. We need more of it, not less. Our children need to have the experience of art-making. One can only really know its benefits from the experience of the creative process: divergent thinking, generating myriad options and ideas as the process unfolds, learning to trust an inner wisdom that is always ours throughout our lives. It is true that the arts have been proven to improve our performance in other basic and necessary skills, such as math, writing and comprehension, empathy, mental acuity, organization and expression–too many to list. But the arts are also their own reward–open to all of us. We won’t all become professionals in the arts, but whatever we do, the arts are a great resource in how we meet whatever challenges await us in our lives. I have seen how tremendously empowering it is for my clients of all ages, some with severe disabilities, to create and to then have the power to continue to do so on their own. The arts are not disposable or expendable. As humans, we have engaged in them for many thousands of years, across all cultures. They are an essential part of our identity as human beings–a universal language connected to all parts of our lives from the sacred to the mundane. I hope that we wake up to this. An existence without imagination is a poverty of soul that we can ill afford. Thank you for your incredible dedication and love for the arts!! I am an elementary art teacher trying to support myself on one day of teaching a week! More arts, please!! My heart was touched by this video, I support the effort that is being made here to get the world out. I am in Cali and our educational system suffers because arts programs are cut because of a lack of respect, wisdom and foresight with those who govern our lives. Gang violence is on the rise in our city streets and why because at risk youth are not being challenged the way an arts educating can challenges their mind. They would rather take away an opportunity for a young person to play an instrument like the drum and have him pick up a gun. To continue to populate the prison industrial complex. We need to send a message loud and clear that anyone that does not support the arts in educations is supporting a very colonial, out of date, hegemonic mentality. Stand up and fight it is your right. Where would we be if the arts were not part of our existance. How would we express our humanity. We need more critical thinking people in our communities. They arts make up human! The Arts should be supported for all young people ! Where would we be if there was no outlet for all the creative people out there. These kids are the future. Amazing job, Fran and students! You make me proud to be an arts teacher, and you make me proud to fight for my students. Well done!